We are delighted to invite you to celebrate a collaboration between Tengri and Joseph Cheaney & Sons. Celebrating the creation of Khangai Mountain Brogues – the world’s first sustainable footwear made with Khangai Noble Fibres. The collection comprises three styles: the Apex brogue shoe, the Vertex brogue boot and Pinnacle Chelsea boot, each crafted in ethically and responsibly sourced, single-origin, undyed leather. Experience an intimate preview of our latest autumn/winter collection – Sky. 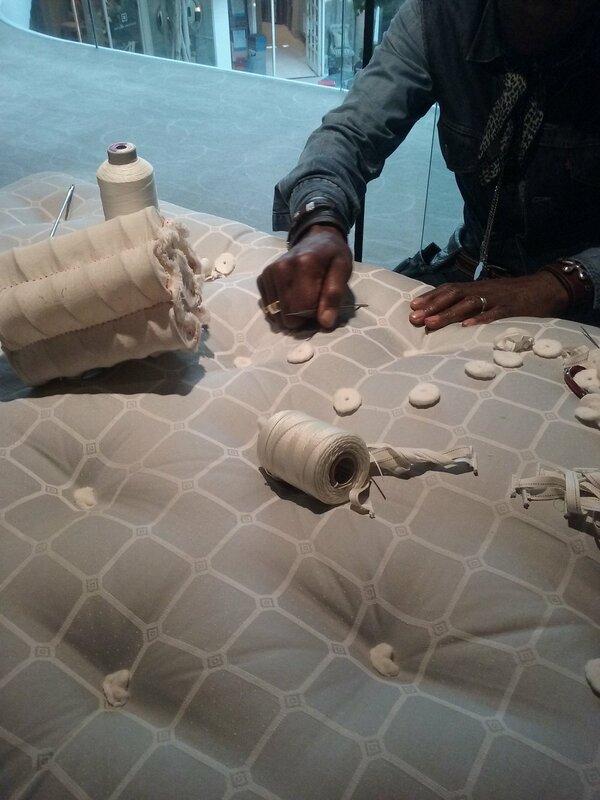 Combining a fashion exhibition, art installation and photography, this event traces the spiritual journey behind the creation of one of the world’s rarest fabrics. The exhibition celebrates Tengri’s global heritage, innovative craftsmanship and uncompromising sustainable style. It showcases our four-year journey in creating a global community and movement that encompasses the development of woven fabrics and material objects such as coats and shoes. Sneak previews and pre-sales of upcoming limited-edition products and collaborations will also be available. Join us on our journey from Mongolia to the Middle East, where we will be showcasing our exquisite fabrics and latest ready to wear and bespoke collections in Dubai as part of the Fashion Trade Mission, ‘Made in London’, taking place from 21st-23rd May. Entering the UAE market for the first time, this trade mission is part of our growth plans to introduce our prestige sustainable fibres and manufacturing to the fashion industry on a global level. Proving that luxury and sustainability don’t have to be mutually exclusive, we’re pioneering a new wave in sustainability. 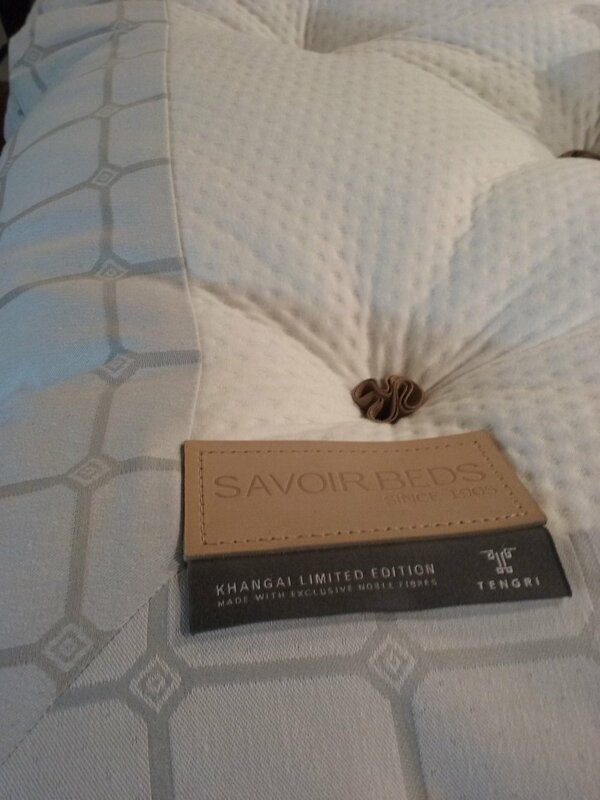 We’ve partnered with the crème of luxury makers in the UK, entering London’s Savile Row with an exclusive limited-edition collection of rare fabrics with esteemed tailors Huntsman, plus a directional partnership with one of the world’s most luxurious bed makers, Savoir Beds. 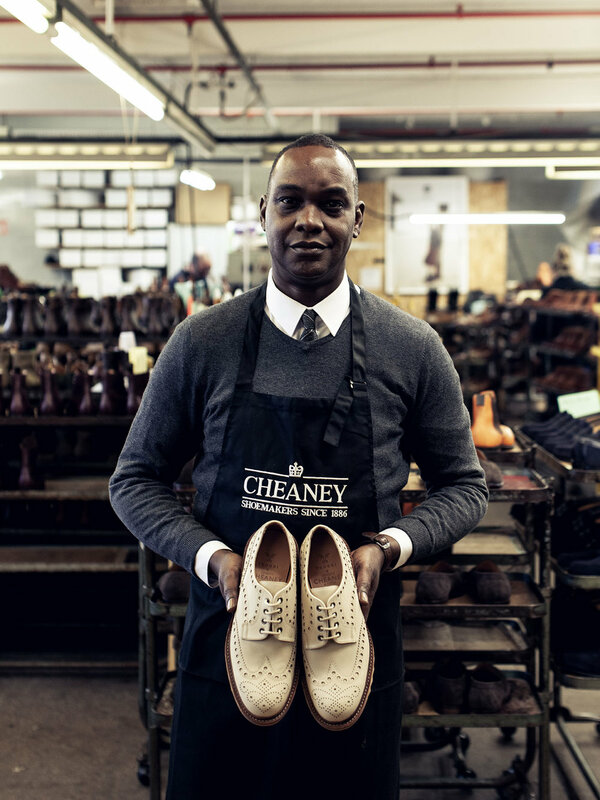 Our latest collaboration features a sneak preview of our latest developments, including a range of exclusive handcrafted shoes with prestigious shoemakers Joseph Cheaney & Sons, who have been crafting shoes since 1886. Tengri is delighted to invite you to an informal morning presentation about our revolutionary brand, which is making a significant impact in the fashion and interiors industries. From Tengri's journey from the steppes of Mongolia to the UK, we will present our journey in creating an award-winning business model and how we've developed partnerships that champion sustainable solutions for exclusive luxury production. We are also excited to share with you our plans for the very near future but we can use your help. As a Noble Yarn technologist and social business, Tengri is seeking investment to prepare for the next stage of growth: acquiring and processing the next batch of fibres combed this summer; extending the number of nomadic herder families we work with by the end of the year, and expanding our business in new markets. In collaboration with prestige bedmaker, Savoir Beds, join us for a champagne breakfast taking place at Savoir’s Wigmore Street showroom. If you or someone you know may be interested in becoming an investor, this is an ideal opportunity for you to join us in shaping the next phase of Tengri's business growth journey to achieve a quadruple bottom line – people, planet, profit, purpose. To RSVP, please just click the button below, or send us an email to confirm your attendance to hello@tengri.co.uk. If you can't join us this time, do get in touch to arrange a suitable time to find out more. Tengri has been selected for the 2017 edition of ‘Bright New’ at Selfridges, a showcase for emerging talent, focusing on sustainability and ethical processes, two principles dear to our heart. This year, this is explored through materiality, and the fascinating provenance of the fabrics of fashion. We are among eight brands and designers selected, each championing a different material. With recent features in Huffington Post and Fashion Network, we are so proud to have our Tengri Noble Yarns® represent Luxury Fibres – a sustainable cashmere alternative. Come and see Tengri's window at Selfridges launching on the 9th of January as well as our capsule collection in the Menswear department. Make sure you sign up to our newsletter for upcoming special events and talks over the next three months. We have teamed up with Library in Covent Garden, London for a pre-Christmas pop up during their Saturday Brunch Club, 26th November, 11.00 to 4pm. The Saturday Brunch Club is a monthly event aimed at female entrepreneurs and professionals*. Sample their Saturday Brunch Menu, Bardou Blowdrys, invigorating drinks, while having fun networking. Library is a hub for creativity and innovation, drawing inspiration from literature, theatre, local community and sustainable design. As a friend of Tengri, you’re invited to join the event. Come and discover – or rediscover – Tengri’s sustainable, luxury knitwear and Noble Yarns® – Mongolian yak fibres that are as soft as cashmere, warmer than merino wool, breathable, hypoallergenic, water-resistant. These are the ultimate winter essentials and fabulous Christmas gifts, all made in Britain. You’ll also have the opportunity to chat to Tengri’s hand knitting specialist, Stephanie Sobey-Jones, about her work. Tengri's sweaters currently range from hand loomed sweaters, customised hand knitted sweaters to individual bespoke garments. The route from "yak to personal wardrobe" is a fascinating story and Stephanie will be working on one of these bespoke pieces on the day. You will also receive 15% off any Tengri purchase made on the day. RSVP by 5pm Friday 25 November to secure your place on the guest list. *though it says female members, men are also welcomed! 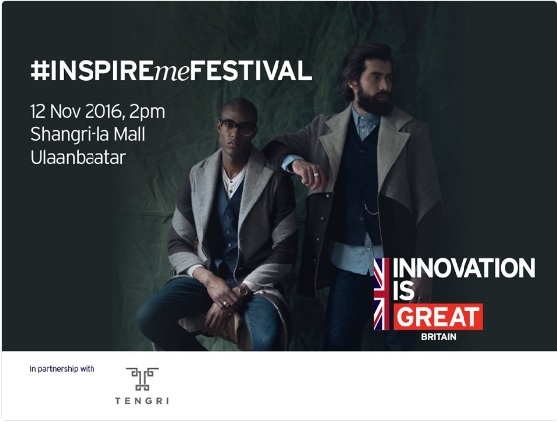 Tengri is delighted to be a partner at #INSPIREmeFestival, which will be held on 11-12 November 2016 in Ulaanbaatar in Mongolia. Following last year’s British Fair, and with the strong support of the UK Government’s Britain is GREAT campaign, the festival is expected to welcome over 5,000 people. Visitors from all walks of life, encompassing Mongolian business people, the wider general public, consumers, tourists, and students, will have a chance to discover, exchange and talk with British businesses. The event is showcasing British companies and organisations that are making substantial long-term investments that are benefiting the Mongolian people. Britain has a highly distinctive, world-class offer of goods and services, in fields ranging from tourism, education to creative industries, consumer goods and many more. Tengri is taking part again at this year's Best of Britannia event. We'll be joining over 150 brands showcasing the finest British-made products. You will have the opportunity to experience first-hand the unique qualities of Tengri Noble Yarns®, through classic and new products spanning interiors to fashion, from exquisite throws and wovens to bespoke knitwear collections. You'll also hear more about Tengri’s upcoming Winter collaborations with a number of prestigious British brands, celebrating design, heritage, craftsmanship and sustainability. Friday is exclusive for trade buyers and then the next 2 days are both for public and trade visitors. Come and meet us on Stand No. 30 (Home section) at Victoria House, Bloomsbury, from Friday 30th September to Sunday 2nd October. We are really pleased to be participating at Milk & Sugar, the fashion and design district of The London Coffee Festival. Join us at this vibrant showcase for emerging fashion labels, cutting-edge designers and contemporary artists at the Old Truman Brewery in Shoreditch, London from 7th-10th April. This is a perfect fit for Tengri as we celebrate British craftsmanship with our products designed and made in the UK, immersed in a global heritage. Our collective movement combines conservation, innovation, technology and ethical business. At Milk & Sugar, we will be showcasing a selection from our latest collection, ‘Rider’ – inspired by and for journeys by bike, horse, motorbike and even on foot. Using the latest innovative textile technology and the skills and craftsmanship of Britain’s heritage mills and manufacturers, experience Tengri products made with our Khangai Noble Yarns, the first set of UK-manufactured Mongolian yak yarns. With properties akin to vicuna and rivalling cashmere-softness, our all-natural and undyed products are warmer than merino wool, light, breathable and hypoallergenic. Experience prestige fashion and sustainable luxury at its best. Come and visit us on stand M11. We’re looking forward to seeing you during these four days! Tengri is looking for a diverse group of gentlemen aged 25-60 with a distinguished and rugged look to reflect our sense of adventure. We want to capture the authentic you. We welcome all people, no modelling experience required. Whether you are an established model or looking to break into the business, this is a great opportunity to represent an exciting new brand. Tengri is an upcoming menswear fashion brand; we create directional, design-led clothing for the conscientious and discerning. More than just a label, we are a brand built by people pioneering a new heritage. We work as a collective movement where design, fashion, ethics, technology, business, environmental activism and individual consumer choice come together to do good. The collective’s goal is to draw on the talents of creatives that span many different disciplines, with celebrated designers, photographers and a range of other professionals in a variety of media. We’re looking to enlist a group of models to become the face of Tengri as we create content for the coming winter season: these Tengri Men will work with our photographic and videographic team to generate a variety of content. We are seeking 2-3 men to be themselves and represent Tengri in two upcoming shoots, with possible future work as part of our collective. The projects will require the models to work with each other as part of the Tengri Men and so our aim is to hold an informal open casting to get to know you and see how well potential candidates gel as a group. Selected models must be available for our studio shoot on 15 March for our lookbook and a fashion film to promote our upcoming Rider collection. Screen experience will be welcomed. Please plan to wear or bring all black clothing including shoes. Head shots will be taken upon arrival. When: Thursday, February 25, 5:30p.m.–8:30p.m. Please allow for being at the casting for at least 2 hours. No advanced booking or emails required. Just show up! What if consumers were offered beautifully made products, crafted with integrity, while simultaneously helping to protect biodiversity, wild animals and marginalised people living in rural and remote places? Addressing the vital issue of sustainability, ‘From Herder to High Fashion’ features talks by pioneers and fashion revolutionaries, championing innovative solutions for sustainable and ethical fashion. Nancy Johnston, founder of Tengri, will explain how Tengri launched a movement to change the wider fashion industry for the better. 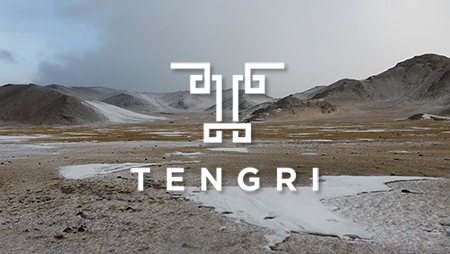 Tengri specialises in natural materials with a 100% ethical, sustainable, eco-friendly and transparent supply chain. The company operates as a premium fashion brand and social business, trading fairly with nomadic herders. Joining the collective movement are Bertie Bertinez, Katie Jones, Alex Noble and Diane Goldie, designers with an inspirational and directional design aesthetic. The evening panel discussions will include avant-garde knitwear designer, Bertie Bertinez, Katie Jones, whose work celebrates artisanal hand-craftsmanship and Diane Goldie, artist and handmaker of wearable art. Joining the panel will be Tengri brand ambassador and bookabeat-featured artist, Miss Baby Sol, a singer and songwriter celebrated for her powerful lyrics tackling global problems related to mass-consumerism. The evening will also showcase directional pieces from Tengri's collection and the Tengri Noble Yarn exhibition. ‘From Herder to High Fashion’ is a must-attend event for anyone interested in sustainability and design, from fashion-conscious consumers to journalists and students, as well as people involved in the fashion and textile industries. The event forms part of a wider partnership with Responsible Ecosystems Sourcing Platform, Impact Hub King's Cross, Ashoka, Central Saint Martins and Interchange. This event launches a series of activities by the larger global collective movement exploring sustainability, social impact and geo-relational fashion. Please join us for what promises to be a very exciting and informative evening. Delivered in partnership and hosted by UKFT, the evening will include talks by Laurian Davies of UKFT, Orsola de Castro, sustainable fashion pioneer, co-founder of Estethica and the creative force behind Fashion Revolution Day, and Rosemary Wallin, designer and BA pathway leader for sustainable fashion practice in design and marketing at Central Saint Martins, University of Arts London. The evening will highlight successful examples from designers and fashion brands that have used their craft to design and make products with a harm-free ethos through careful selection of fabrics and fibres. The event is also endorsed by the Wildlife Conservation Society. Join us for the Khangai Yarn Exhibition, an innovative and immersive exhibition taking place during the London Design Festival, 19-27 September. Exclusive pieces will make their debut – designed and created from all-natural noble yarns, hand-sourced and only available once a year from Mongolia’s mountainous Khangai region. The works of Tengri Collective designers and artisanal makers including Carlo Volpi, Catarina Riccabona, Bertie Bertinez and Studio 180° will be featured. Come and discover lush interior furniture, furnishings and fashion, all designed in London and made with Tengri’s Khangai noble yarns. This immersive and experiential journey enables visitors to experience the interconnected relationship between the fragile landscapes, wild animals and people of Mongolia. On 18th July we will host a runway show like no other in the heart of the Arkhangai Mountains, Mongolia. Set on the shore of Terkhiin Tsagaan lake in the awe-inspiring region of Tariat Sum, the showcase will form part of the Mongolia Yak Festival, celebrating the delicate and interwoven relationship between nomadic herders, animals and the land. Join us for a Mongolian yak wool exhibition and presentation taking place on Tuesday, March 3rd from 6-8 pm at the Brooklyn Fashion+Design Accelerator, part of a monthly Textile Tuesdays event. Nancy Johnston, CEO and Founder of Tengri, will be on hand to discuss the various stages and special qualities of this unique fibre, from down to yarns and fabrics and, of course, the end result – clothing. The best way to understand yak wool is to feel it, so come and enjoy a hands-on experience of a very special fibre! The Tengri debut ‘Warrior’ Collection will be on display, along with visuals of iconic Mongolian landscapes. Designers and textile afficionados attending the event will have a chance to see the garments and textiles in advance of the presentation, entitled ‘From Steppes to Streets.’ The video presentation provides an overview of Nancy’s journey in Mongolia for Tengri, how the company started, as well as specific aspects of yak wool as a fibre, plus a special pre-sale and sneak preview of new items in the collection, exclusively available to those who attend. For more details or to attend, click here. Join us at an exclusive opportunity to discover an extended range of the Tengri ‘Warrior’ collection – including new pieces not yet available online. Nancy Johnston, Tengri founder, will be on hand to help you select your garment and answer any questions you may have about yak wool. This very special fibre is as soft as cashmere, warmer than merino wool and hypoallergenic. Handspun yak yarns and fabrics for knitting, crocheting and making Tengri yakwear clothing will also be available. A special 10% discount is offered at this event. Best of Britannia exhibitors range from long-established heritage brands to more recent start-ups such as Tengri. All the exhibitors have one thing in common: a strong belief in supporting UK manufacturing. Every Tengri garment is designed and made in Britain, so we feel at home at this event. A collision of fashion, contemporary British and Mongolian music, dance, art and culture. This celebration of the modern-day ‘Warrior' introduced our debut collection of yak knitwear to the world, along with women's shoes designed and created by Shoes by Bryan. The music was powered by bookabeat. Delicious food and drink was provided by Mongolian Kitchen, including vodka, cocktails, huushuur (fried meat and vegetable pies) and dumplings. Check out the Tengri Festival photos here. 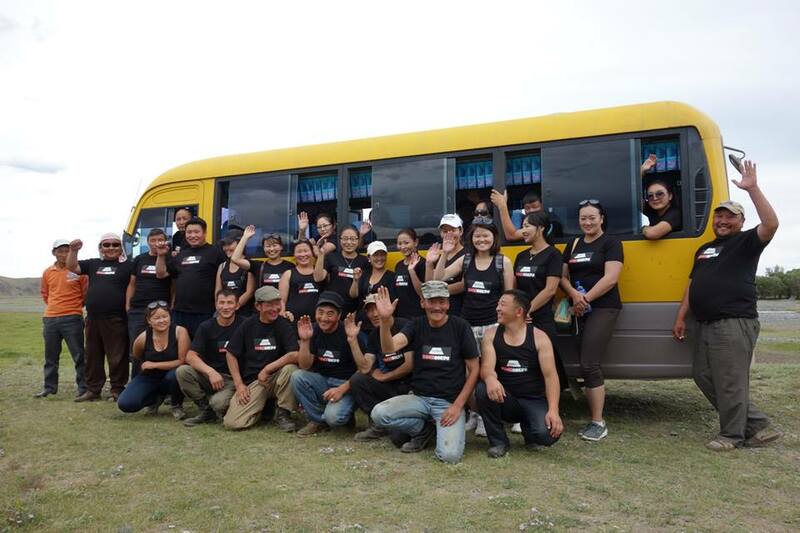 On 15th August, young RockCorps volunteers gave four hours of their time to help clean up the Tamir River in the Mongolian province of Arkhangai, as a curtain-raiser to the first ever Tsetserleg Festival. Members of the Tengri collective were among the volunteers, who enjoyed a live performance by Quiza, hip-hop artist and star of the movie Mongolian Bling, at the Tsetserleg Festival, in exchange for their time. The Tamir River Clean-Up Project and the Tsetserleg Festival brought together fashion and the preservation of land, animals and nomadic herders’ culture. L. Jambaldorj, Leader of the Arkhanghai Association and Federation of Pasture User Groups, and Nancy Johnston, CEO and Founder of Tengri, jointly conceived the idea. “By putting volunteering and music at the heart of the platform from the start, Nancy not only created a successful design business in partnership with the yak herders, but also celebrated their work and culture,” added Stephen Greene. The Tsetserleg Festival and the Tamir River Clean-Up Project, both sponsored by Tengri, will become an annual event, working with local municipal authorities to preserve and protect the river and landscapes from pollution and debris by engaging young volunteers motivated by music. The Arkhangai Aimag mountains in Mongolia provided the scenic backdrop for the first ever Tsetserleg Festival on the weekend of August 17-19. Conceived and staged by Tengri, the festival was a celebration of culture and community spirit. The town of Tsetserleg was transformed by decorations, live music, art, food and high-end fashion. The weekend commenced with a volunteer incentive which saw Tengri join forces with RockCorps, the global volunteer organisation. Festival volunteers travelled to the nearby Tamir River, which has suffered badly from pollution, to begin a clean-up operation. Inspired by the opportunity to see performances by some of Mongolia’s most famous live acts, the volunteers selflessly dedicated eight hours to cleaning up the river. The following day was a fun-filled day for families, with children's activity workshops, exhibitions and Mongolian musicians, whose performances included combinations of traditional and modern sounds. As the sun set, the steps of the magnificent Buddhist temple at Bulgan-Uul became a catwalk for a spectacular fashion show to showcase the first ever Tengri knitwear collection. To close the festival, Mongolia’s award-winning hip-hop star Quiza took to the stage. More than 1,500 people, old and young, gathered to see one of the country’s most famous faces light up the evening with a performance that was truly electrifying.